The CV’s structure highlights the candidate’s career progression. 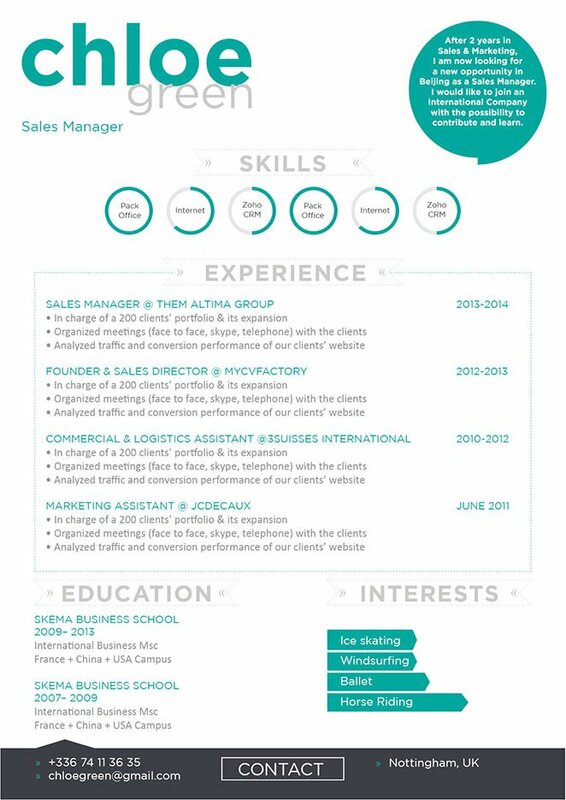 CV template to download "Courageous"
The Courageous resume is your ticket to that dream job you've always wanted! Your potential employer will surely be impressed as its structure perfectly highlights your career progression in an understandable manner. It makes good use of colors, shapes, and graphics to create a unique and eye-catching design. 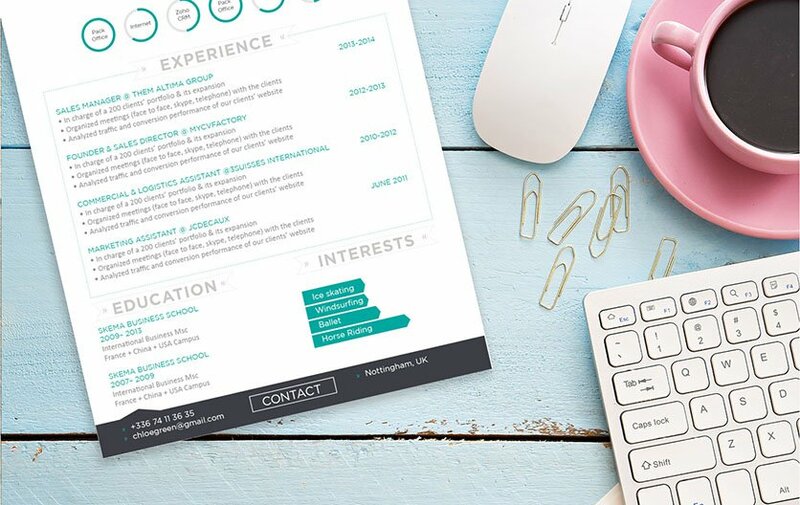 This online resume template fits excellently for any job type out there—In no time that job you've always thought impossible of acquiring will be yours! How to make your resume eye-catching? Simple—That's by making each segment dense with information, but substantial. Your resume will be the ticket to that dream job! Most people nowadays, expect a style of writing that is easily understandable and direct to the point. Within a short block of text the information you're trying to convey must be understood completely. Readers usually lose interests once they've reached the fifth line of text and still don't have a concrete idea to your argument. A good solution to this dilemma is by having each section of your cover letter short, but well-detailed. Break each complex segment into simpler blocks of information no more than five lines long. This will make your resume more user-friendly and your potential employer would be more inclined to read your cover letter fully.